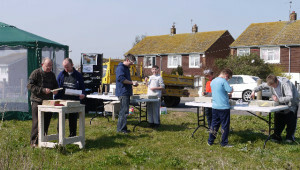 Situated on the North Kent Coast in the Thames Gateway, The Isle of Sheppey has been identified as a ‘locus’ for contemporary Art in the Public Realm. 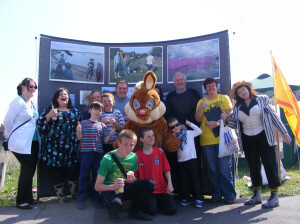 Queenborough & Rushenden Regeneration scheme is national best practice for community engagement, and has partnered with innovative arts organisation Art at the Centre Swale to commission two exciting Art in the Public Realm projects. The partners decided to commission artist Richard Perry to develop and deliver two very different works with the focus being that both would be community driven in artworks. 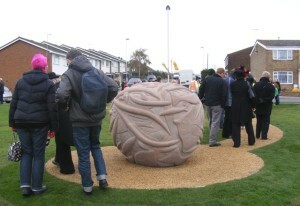 Shoalstone is a sculpture that celebrates the sense of community that the artist encountered when running stone carving workshops in Rushenden. 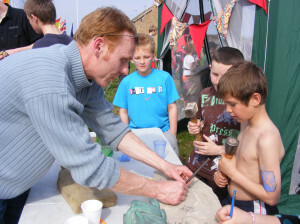 The themes that arose from the workshops focused on Rushenden being on the Swale and Medway estuary, local fish and fictional sea creatures featured strongly in the drawings and carvings made by children and adults during the week. 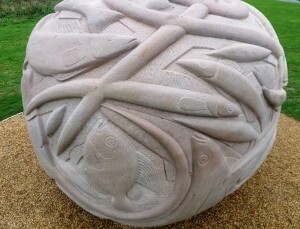 The fish represented in the sculpture (eels, rays, flat fish etc) are all local to the Swale and Medway estuary. The relief carvings interweave and overlay producing a symbolic and dynamic sense of community and place. 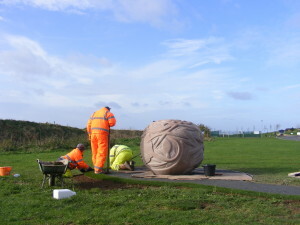 The finished workshop carvings have been integrated into the new scheme that forms the pathway for the main sculpture. 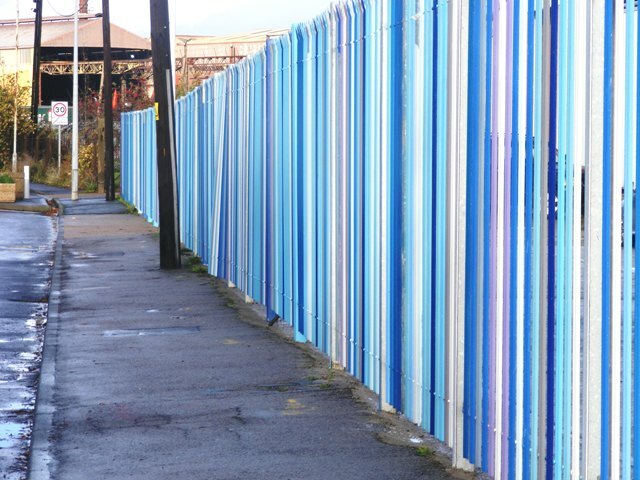 As part of the Rushenden Art in the Public Realm project, artist Richard Perry has been commissioned to design an artwork for the fence which lines the road as one enters Rushenden, owned by Medichem International. 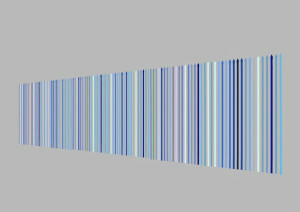 The concept for the project was to create a colour palette for Rushenden, taken from images taken by local photographers, as part of the Roaming Perspectives 3 workshop. 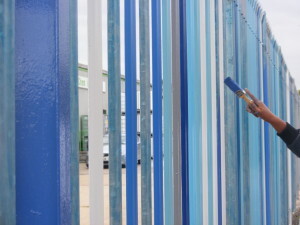 The fence slats have been painted a range of blues to reflect the range found naturally in the nearby nature reserve. This project was made possible with thanks to Vi-involved volunteers, and Medichem for allowing us to paint their fence. 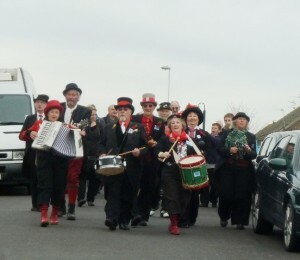 The Big Fish band leading the audience to the launch.